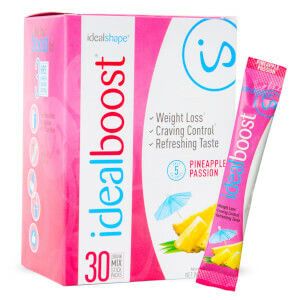 This is one of my favorite IdealBoost flavors. The taste is great and I love that I can enjoy it anywhere and anytime with a bottle of water. I usually have one in the morning and another in the afternoon to get me through until dinner without snacking. Highly recommend!! I love the taste! I enjoy them multiple times a day!! This is my favorite flavor of the boosts. I use it with 12oz of water in the morning and midday. I workout in the morning about an hour after I drink it. It really gives you the energy to take your workout to the next level. 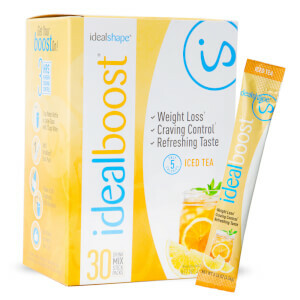 I drink it midday because that’s when I want to snack, and it takes that craving away, as well as giving you an energy boost. Highly recommend. It works and it tastes great. These powders mixes quickly with water. (much easier than the IS shakes) This is a question I had before ordering. Ordered two more flavors yesterday. Like the taste, I usually add in a little tea. I'm not a milk drinker and do not enjoy the protein smell or taste. 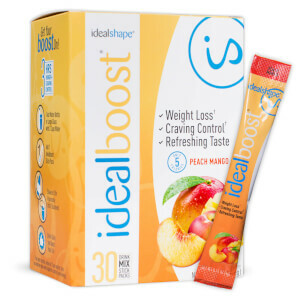 This is a great alternative and give the appetite curbing just as well as shakes, also lower calories than shakes. Good flavor. Great for starting my day. My favorite of all flavors. Not as sweet as some of the others. Most are very sweet and I have to add extra water. I like the taste and it gives me energy. I enjoy drinking it and it seems to curb my appetite. This also was terrible. And it was off colored and very hard in the packet. 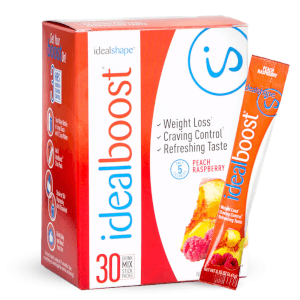 No more Idealshape products for me. Awesome taste and keeps the hunger away! Completely Satisfied!